The Spotter Guide series has become a very successful piece of art and visual aid in motor racing in recent years and is now the larger resource of its kind in the world. 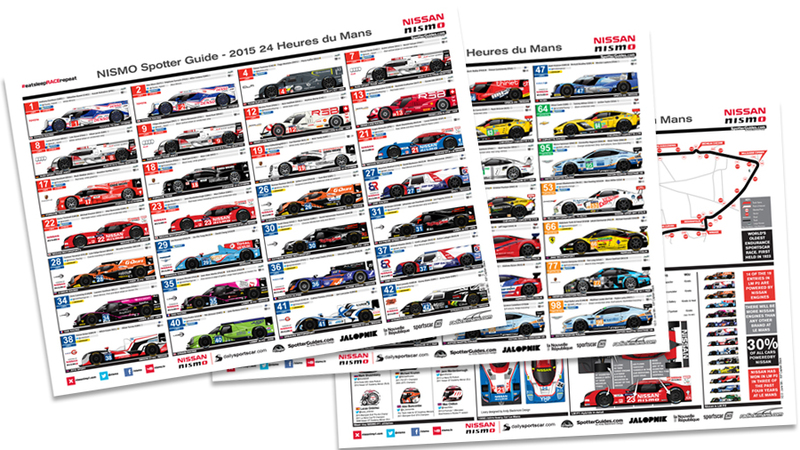 During 2014, there was over 100,000 unique downloads of the NISMO Le Mans Spotter Guide. Each year our downloads numbers increase. 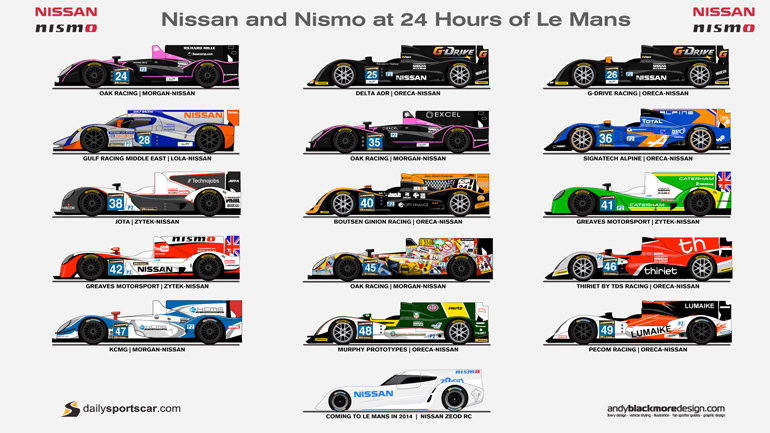 Andy Blackmore is a successful Livery Designer and Automotive Stylists and produces the artwork for the Spotter Guides. Andy work closely with teams, sponsors and race series to provide the accurate up to date range of Spotter Guides online. 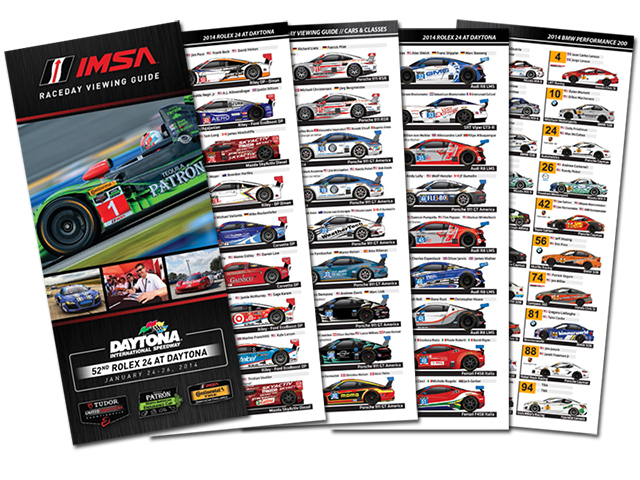 Andy has been producing ‘fan’ Spotter Guides for over eight years and during this time, the guides have been sponsored by Nissan, Electronic Arts, American Le Mans Series and the Saudi Falcons and now IMSA. Guides are produced for a number of series and can be downloaded, printed out, set as desktop or viewed on your smart-phone, which contain all the information required to follow a race, be it at the track or in the comfort of your home. Each guide displays a variety of information ensuring the race fan or team member has all the extensive information at their fingertips. 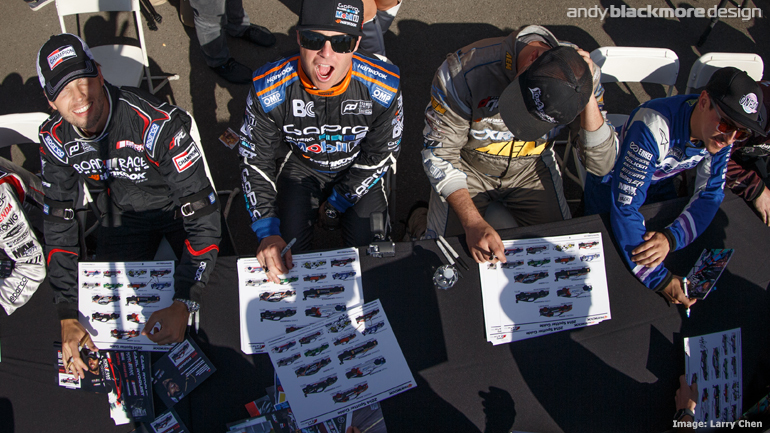 Andy work with teams and sponsors to ensure each car illustration accurately reflects the real world racer. Teams will often send me information ahead of time, under embargo. In 2012, we had every team work with the guides during the season. The majority of guides are illustrated which allows Andy to showcase any new designs before they take to the track and update on the fly during the race weekends. 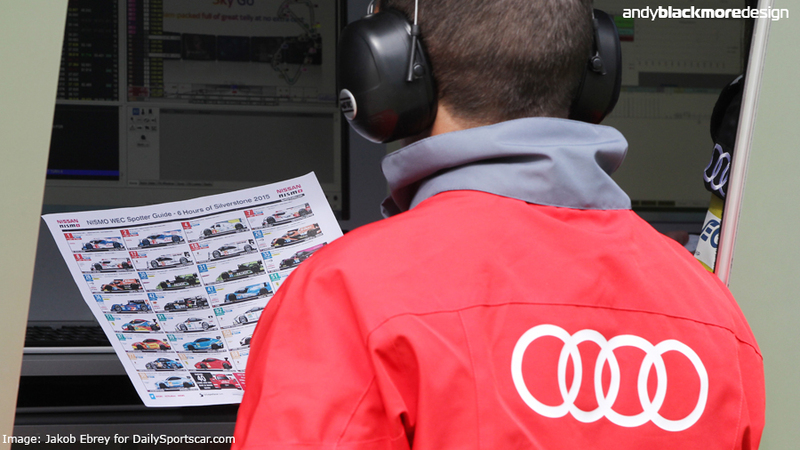 While the guides are a fan favourite, the motorsport industry also use the guides extensively. 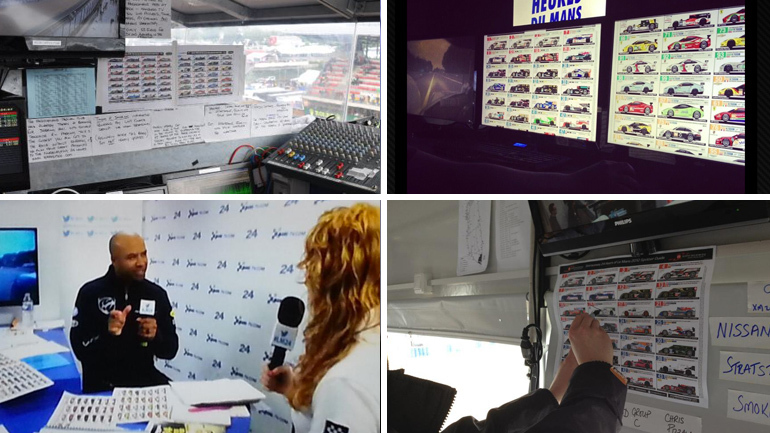 Many commentary teams from around the world use the guide as do many corner-workers, mechanics, race engineers and even race control in the ALMS and WEC! 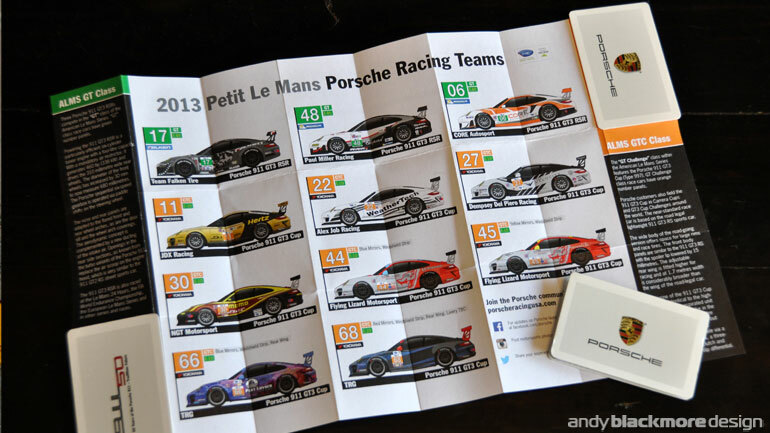 EVERY Commentary team on-site at the 2013 24 Hours of Le Mans used the guides! 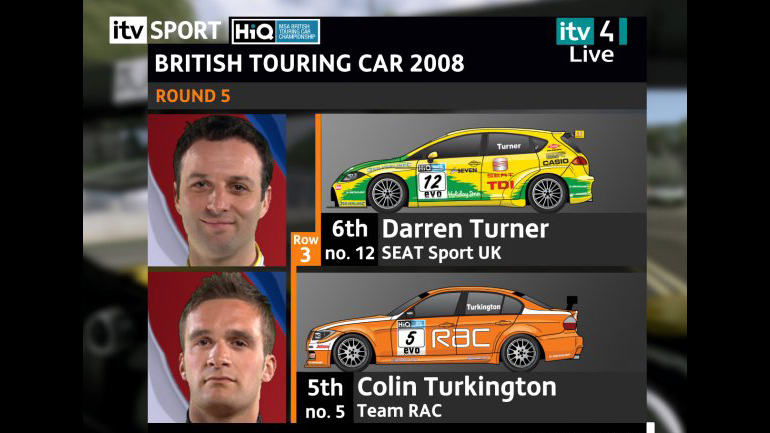 TV companies including ITV,Fox Sports, ESPN and ABC have also used my illustrations for on screen graphics. 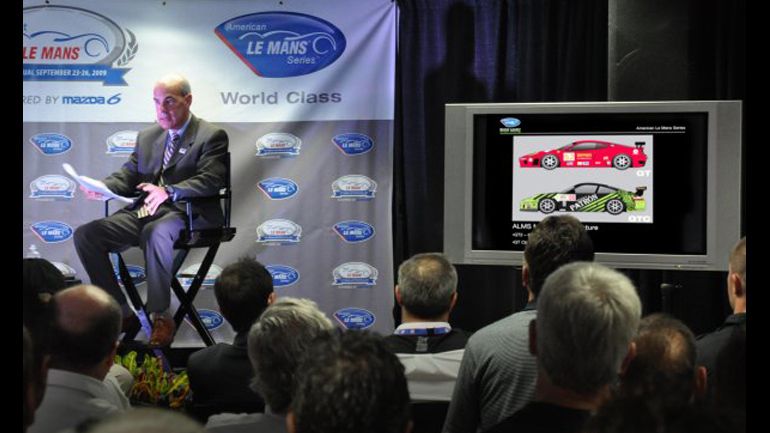 Race series and teams have used my artwork for presentations and press releases and merchandise. The car art is available independently of the full guide. Publications including The Sunday Times, Racer, Porsche…. 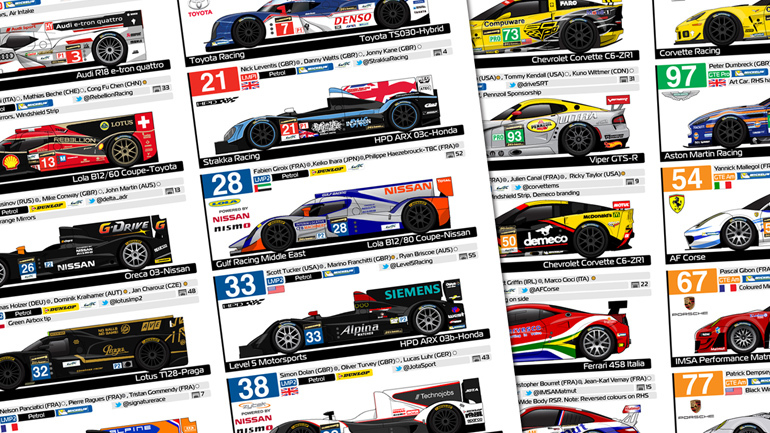 Spotter Guide has started producing a series of desktop wallpapers. Over the years, Andy have earned respect and trust from teams who are comfortable giving me embargoed confidential information so the guides can be as accurate as possible. Many photographers also use the guides for quick car recognition during post processing. In return Andy has an army of awesome photographers who help me at tests. 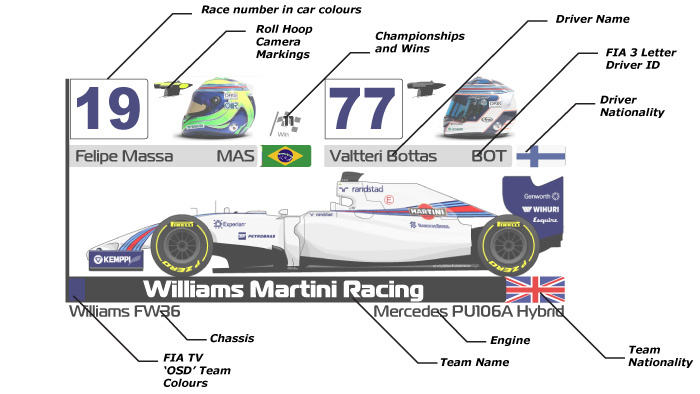 If you are interest in sponsoring or commissioning a Spotter Guide, please visit my Sponsorship Page. Andy Blackmore Design offers a full range of Creative Services for the Automotive and Motorsport Industry, with a range of exciting Livery design, Aftermarket and Racecar Vehicle Styling and builds, Team Identity, Clothing, Marketing aids, Sponsorship documents and Hero Cards. Andy has produced designs which have raced and won at all levels from Formula One to Formula Drift, Le Mans to Single make racing.